At the beginning of 2011, by decision of the Minister of Culture and National Heritage, Bogdan Zdrojewski, the Kordegarda Gallery was entrusted to the National Centre for Culture. Taking upon ourselves the task of managing the gallery, we knew we wanted it to become a venue that brings together artistic styles, forms of cultural activity, where educational activities are held along with artistic ones. The Kordegarda was to transform into an open and available space, a meeting place for presenting young artists and experimenting. 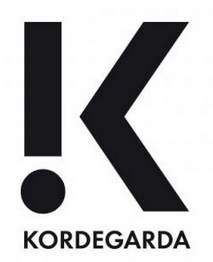 Since March 2011, the Kordegarda has functioned under a new format. Its management having been taken over by the National Centre for Culture, the gallery has modified considerably its overall programme. The Centre’s aim is both to appeal to the artistic community and to promote socially-minded activities (like the Culture to Go project or various educational initiatives).